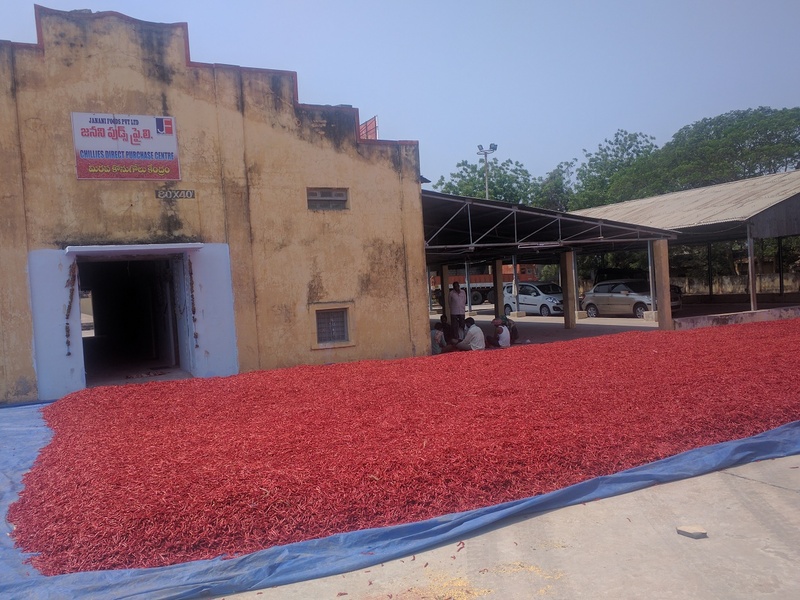 Janani has successfully Piloted Quality based eAuction Platform at its Direct Purchase Centre at AMC Market Yard, Sattenapalli, Guntur District, Andhra Pradesh for Dry Red Chilies. 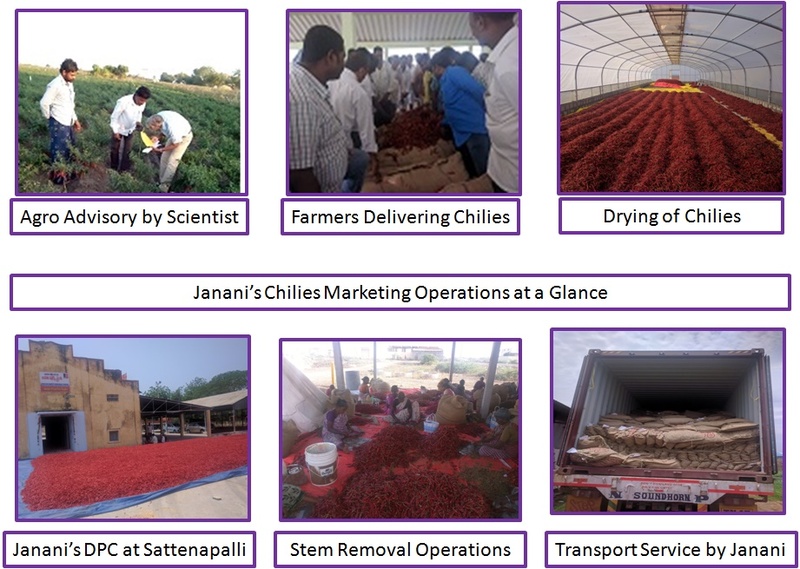 Buyers assured of quality, quantity and deliveries by Janani. 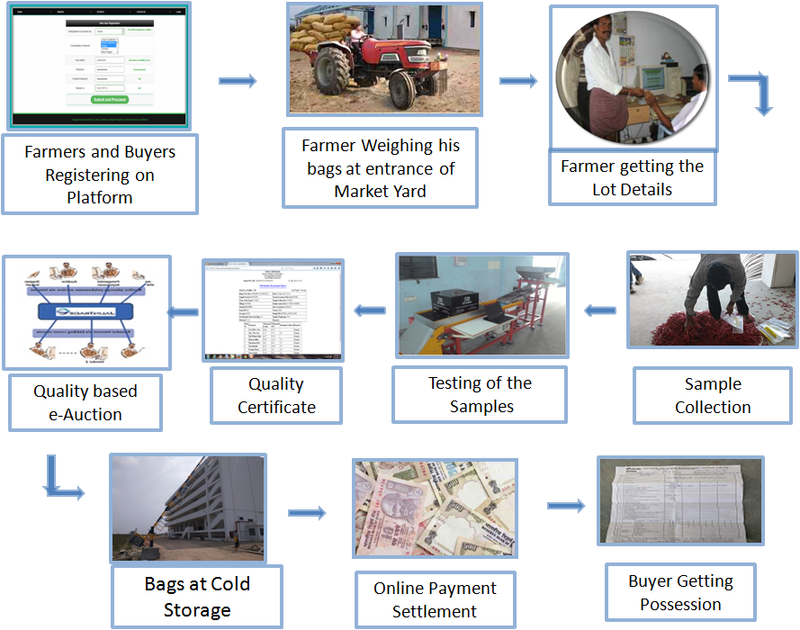 Produce will be sold either through the eAuction Platform or direct marketing activities. 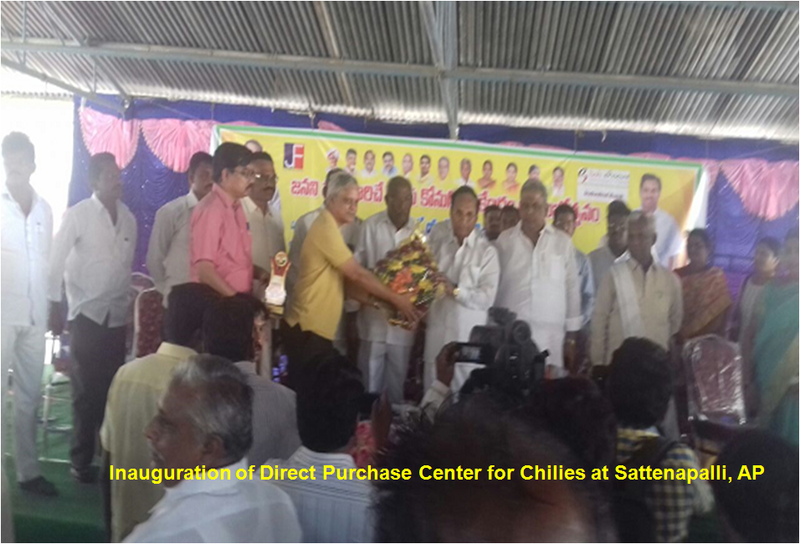 Value Addition will be done based on the requirements of the buyers – ex. 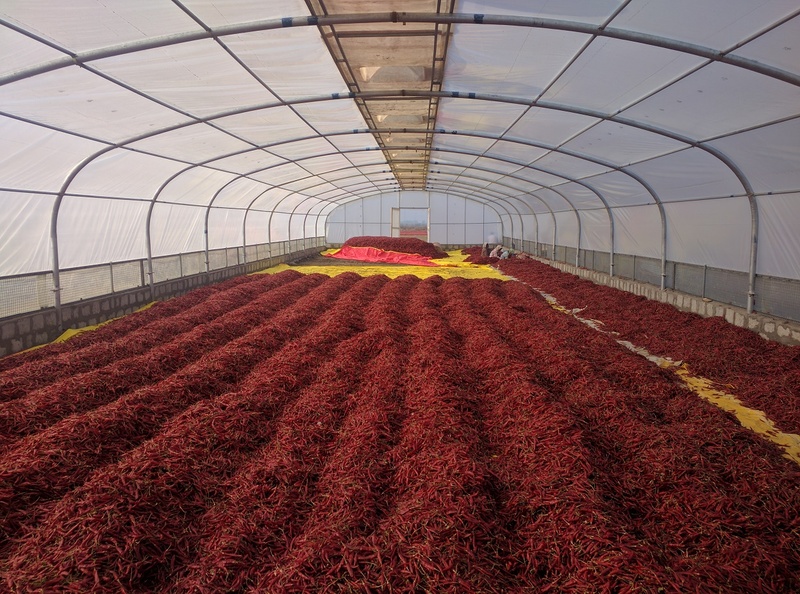 Stem removal for chilies, sorting for Coriander.. 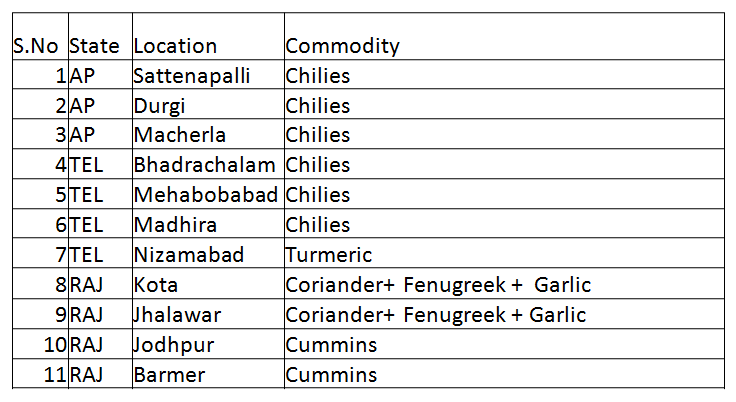 Cold Storage facilities will be leased out as allied activity to help marketing initiatives.